Where No Limits Apply: My Ironman Story & What You Can Learn! No limits apply: that’s the motto of the famous Ironman brand. 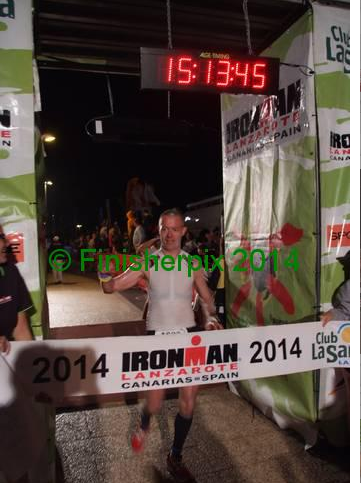 Thomas, CEO of Fourerr completed Ironman Lanzarote on 17th of May 2014 in 15 hours and 13 minutes and a couple of seconds. 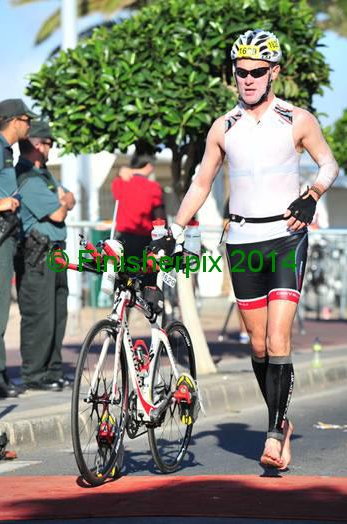 On September 2013, I signed up -for the second time – for an Ironman endurance event. Such an event lets endurance athletes sign up to the crazy ideas of: first swimming 3.8k into the sea, followed by 180k on the bike and then finishing it all up in a long,marathon-lengthy run. 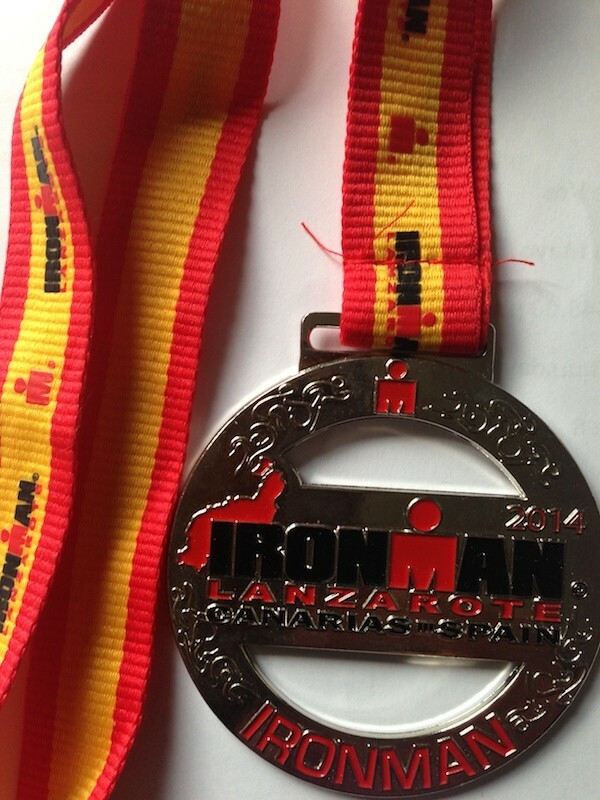 Ironman Lanzarote is seen as one of the toughest Ironman events in the world – so naturally, I signed up. This event is not for the weak; Lanzarote comes with fierce winds, more than 2500 metre of climbing in the mountains and high temperatures that must be endured throughout the long run. Training for this epic event was no laughing matter. It took me 6 months of dedicated training for this one day event; I was on a rigorous 6 days per week schedule (and often more than once training per day). Alongside all of this dedicated training, I carefully looked after my nutritional intake and, of course, organized my business and working life very carefully. The result of all of my efforts? I completed, for the second time, the Ironman endurance event – this time in 15 hours and 13 minutes. Many people ask me why? Why do I push myself like this? What do I get out of it? Like me, like this very event, the answer is not simple – but I will try. I like to see myself as a very dedicated, motivated and a determined person; doing an Ironman tests you clearly in all of these aspects. When I’m done with work for the day, just putting up my feet is not an option. I like to to be active (aside, of course, from watching final world championship football). Another question I get time and time again: what have I learned? The winds were strong for the bike ride portion. 40 km from the end, I knew my quads were giving in. I knew I would suffer – and at that moment, I had a quiet talk with myself. What, really, were my options? After a hard look at what I really wanted, I encouraged myself to keep going – and to fully realise that these moments are just temporary. Pain is temporary. By pushing hard, by pushing past the pain, I – and I alone – could bring myself to that end I wanted so much. I knew that my long preparation, 6 whole months of it, had built up a solid base that would carry me and my body across that finish line (if I just let go and let it). I knew that feeling pain was part of the game, part of re journey to finish this race. I remembered all of this and I kept moving. Each moment of pain only brought me that much closer to what I wanted. Victory: personal victory. 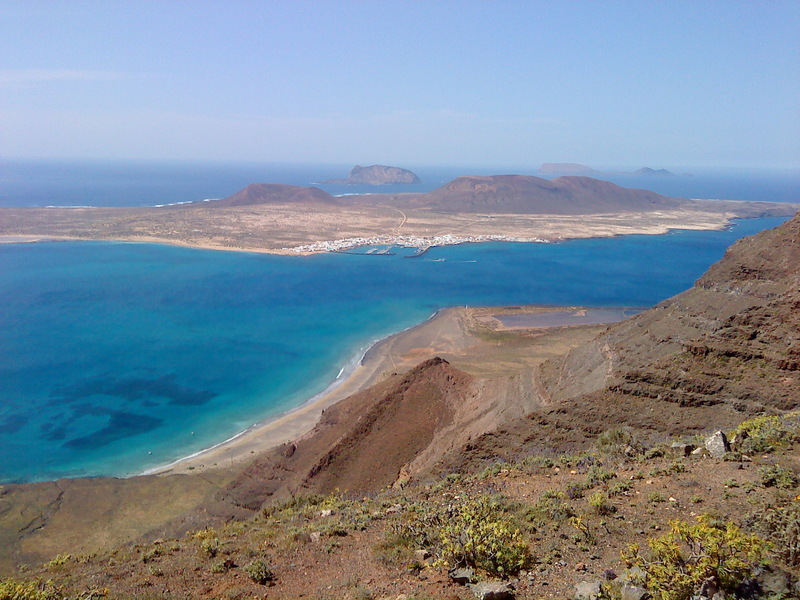 When you climb Mirador Del Rio and see the following view, then all your pain drains quickly away. During my run, dark moments did creep in. Anyone who says they don’t wouldn’t be telling the truth. Pain takes on all of us, no matter what. I wondered many times “why” I was doing this. Then, I looked back – and I could visualise myself crossing the finish line; it was my family who was cheering me on that I just couldn’t, and wouldn’t give up. I had to keep going, if it was not for me it had to be for them, after all they got up at 6 am waiting for me – and now that it was getting to be 9pm I just could not leave it all behind. Did I run the whole time? No. I did what it took to get through, though. Walking is what I had to to get through it. I couldn’t run the whole time – but I certainly couldn’t walk away from this. Never. So, what’s your takeaway from my story of pain and success? First, a solid base helps you succeed. Your base takes you wherever A solid base clearly will help you succeed. That base takes you wherever you want to go. When you come across dark moments, in business and life, be prepared for them. It’s the dark moments that take you where you want to go. Never give up, no matter what. Don’t give up on what you have started or, at the very least, until you have exhausted all your options. Pain and your sacrifices are really temporary,however, quitting will last a lifetime. Ensure you have prepared yourself well, the more research you have done the greater the chances are that you will succeed. Let us know what the biggest thing is that you have done in life and what you have learned from it? I would love to hear your stories. Leave a comment below and describe how you are working on building a solid business foundation. Why not sign up for a Free Account on Fourerr and start building your way to your personal success?